Ian Manners, renowned for his work in molecular and materials chemistry, comes to UVic as a Canada 150 Research Chair. He joins a team of scientists who are leading the way in materials science research. from CAMTEC and Mechanical Engineering wins the CIHR project grant for developing smart wound dressings. from Zeiss has been installed in FIPS lab. Applies lift-out technique to fabricate TEM specimens by focused ion beam (FIB). Through the Civil Engineering Materials Lab. Looks at a patterned silicon oxide wafer under a probe-station microscope for positioning small sensor elements on a chip. The Centre for Advanced Materials and Related Technology (CAMTEC) at the University of Victoria is a research centre committed to interdisciplinary work on advanced materials and technology. The scope of this work covers a wide spectrum of research in theoretical and applied areas. With this in mind CAMTEC coordinates related research among the Departments of Biology, Chemistry, Electrical and Computer Engineering, Mechanical Engineering, Civil Engineering, and Physics and Astronomy. CAMTEC members work in close association with scientists and engineers from the private and public sectors to ensure technological transfer to industry. CAMTEC’s objectives are to carry out fundamental and applied research in advanced materials, to train technical and academic personnel in these areas, and to disseminate the knowledge gained from the research through scientific publications, conferences, workshops and seminars. 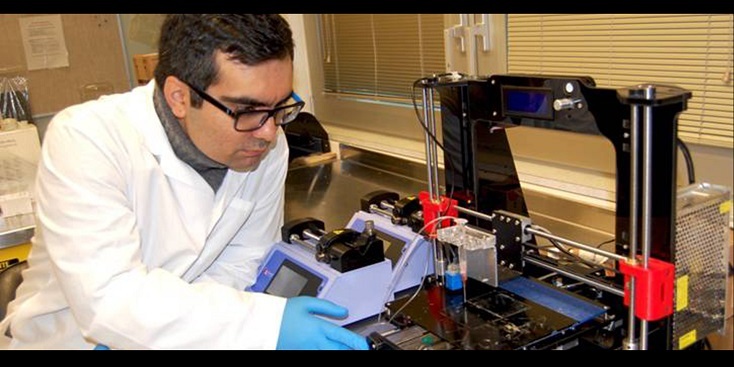 As part of the University of Victoria, CAMTEC serves as a teaching centre involving graduate students in the latest developments and applications of materials research. In each of the participating departments, members are continually developing new graduate courses in advanced materials.